Hey .... for those with DSG and 4 door mk6 GTI's .... do any of you have your OE front springs lying around that you could post a picture of, that shows the paint codes?? I cant get part numbers unless i have paint codes. Thanks OEMPL+S. May try DGs and Koni Yellows first, before doing the sways. Heading to the shop tomorrow because after the Tyrolsport Subframe install, I’ve had a lot of constant crackling sounds when turning the steering wheel. Yeah I could snap a shot of mine if you don’t mind waiting. 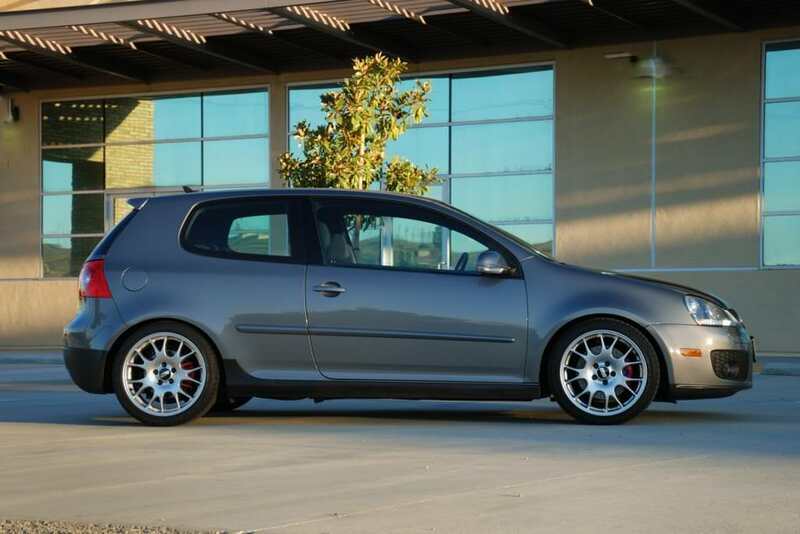 Would VWR springs pair well with Koni Yellows? Because you can adjust the rebound damping Koni Yellows work well with any fixed aftermarket springs. I've read that Koni rates them at up to around 450 lbs/in meaning you'd probably have to go with coilover sleeves to go beyond their adjustment range. Sure i don't mind waiting. Much appreciated .... also if some has a picture of there 2 door manual OEM front springs that'd be nice. Just trying to figure out if there was an actual difference from OEM. I tried a number of combinations on my car over the years. I am an older guy but still an enthusiast. I wanted a suspension that allowed passengers in my car to enjoy the ride, I wanted it to have a nice stance and to handle well. After experimenting I found it was important to get dampers that were intended to be used for lowering springs. 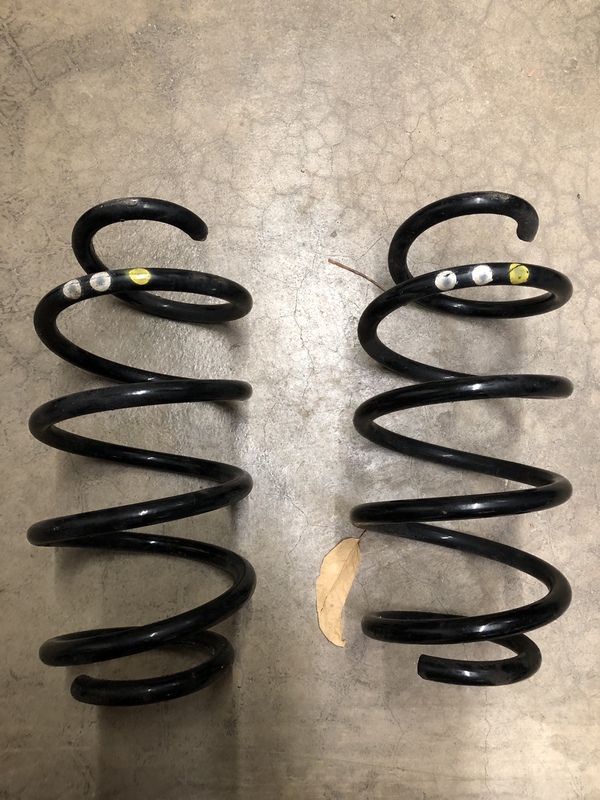 Putting lowering springs on shocks that were not designed for them really compromised the amount of travel of the shock and that translated into a compromised ride with all sorts of unwanted results = diminished ride quality and diminished and even dangerous handling (bottom out while taking a hard corner). What I found that I absolutely loved, were rock solid, took a beating and did everything well was this combo. 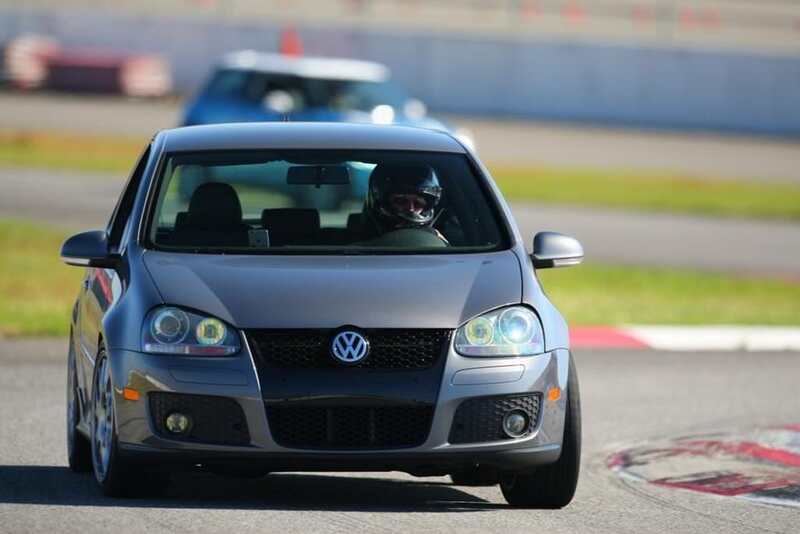 Bilstein B8 sports for MK6 all around. These are designed specifically to work with lowering springs and unlike the ones for the MK5 which are too stiff they provide a very compliant ride. Eibach Sportlines provide the kind of drop that I feel is just about right for my tastes. I prefer a look with just a small gap between tire and fender. This is an excellent combo you can drive everyday and take to the track on weekends. The other item I added was a set of Eibach sways which are 23/26 mm f/r. I found that running my swaybars on the more aggressive of the 2 settings did contribute to a much harsher ride when daily driving. Swaybars are great for helping with body roll and weight transfer but it also transfers all road imperfections from one side to the other as well diminishing your ride quality by a noticeable margin. Also I had replaced all suspension bushings with Whiteline polys. For the most part, the increase in noise and vibration was something you could notice but didn't really compromise the ride quality by any significant amount. Just thought I would share. 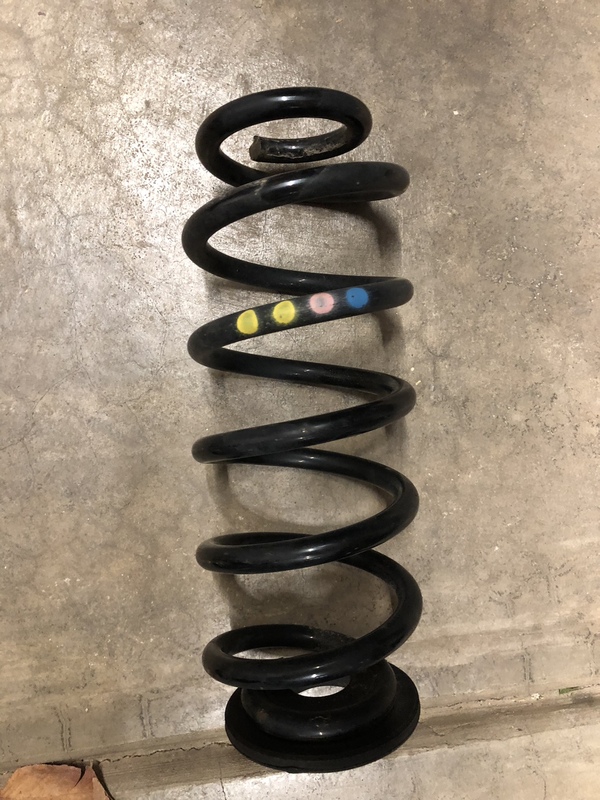 I went through the lowering springs on stock shocks, Koni FSD and then tried this Bilstein shocks and they were a huge winner. They are not adjustable but I never wanted or regretted not having any adjustment, these are properly valved for our cars. All the above has now been replaced on the suspension and it is now going to be much more track oriented with no regard for comfort at all. Last edited by GIACUser; 10-26-2018 at 10:51 AM. That’s a nice drop. Does this combo with the sway bars take good amount of the body roll out? I also noticed a massive drop in ride comfort with a 26mm front sway bar installed. Felt every bump. Even worse when only one side was getting compressed, like hitting a manhole cover or bump. Yes, car corners pretty flat. Very sporty, very easy to drive fast. Thanks for this, I'll definitely keep it in mind if i ever live somewhere smooth and want to go back to lowering springs. I had a feeling it was the combinations of my OEM struts and sway-bars was causing the rough ride. Most people say that sway-bars don't cause added harshness but i think its definitely part of what is causing my rough ride. Your the second person who has also said that it can cause worse ride. There's lots of uneven roads in Ontario .... like very bad ones.